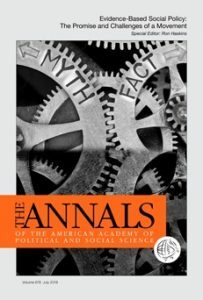 The July volume of The ANNALS, edited by Brookings Institution’s Ron Haskins, provides a survey of the field of evidence-based practices and policymaking through papers written by some of its most notable practitioners, including two U.S. senators and one of the original developers and implementers of the Pay for Success program model. 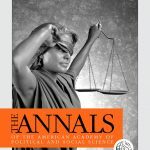 The articles in the volume provide a unique overview of the field of evidence-based policy, and demonstrates the benefits of this approach to policy-makers and the public alike. 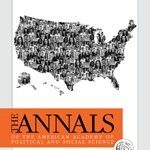 While there is still a ways to go before the field proves consistent in improving the nation’s policies, the research presented here shows that the field is not to be overlooked, and can have positive implications for the future of policy in our nation.